In the innovative style that we have come to expect from RAIS the Q-BE provides a living sculpture in your home. 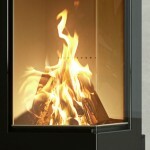 It has a one piece right angled glass pane that really lets you see the fire at its best. The top half of the stove can be rotated to optimise the view of the flames no matter where you are in the room. The swivel base comes as standard. 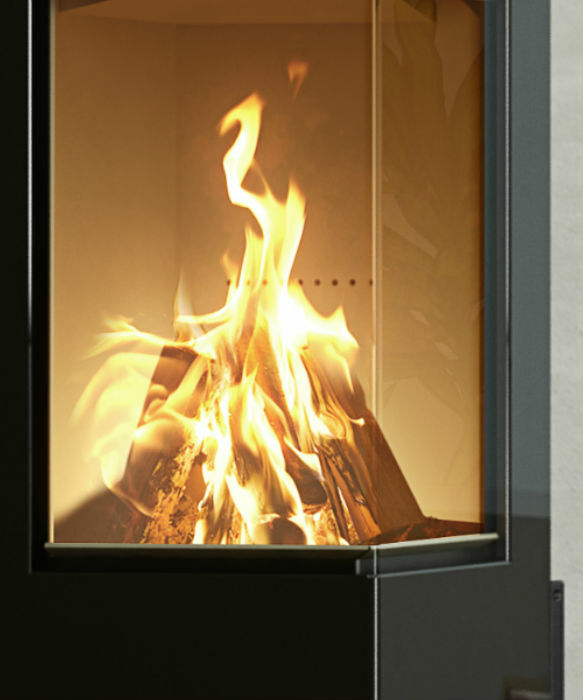 The “Cleverair” system uses a bimetallic strip to automatically regulate the wood burning, resulting in the purest, most efficient combustion possible. Other features includean external air system and the option of 20Kg of internally fitted heat stones to extend the heating period you get from every load of fuel. For more information please contact us or use our quote form for a provisional costing.